When it comes to betting on sports, there’s nothing more dramatic and exciting than boxing. With up to 12 rounds of action taking, a backed fight brings a whole new level of enjoyment. This is a guide on how to bet on round betting. Whether punters are looking for a punt on a British bout between two local contenders or a world title scrap across the pond in America between a pair of globally recognised champions, there’s nothing like a bet on the boxing. 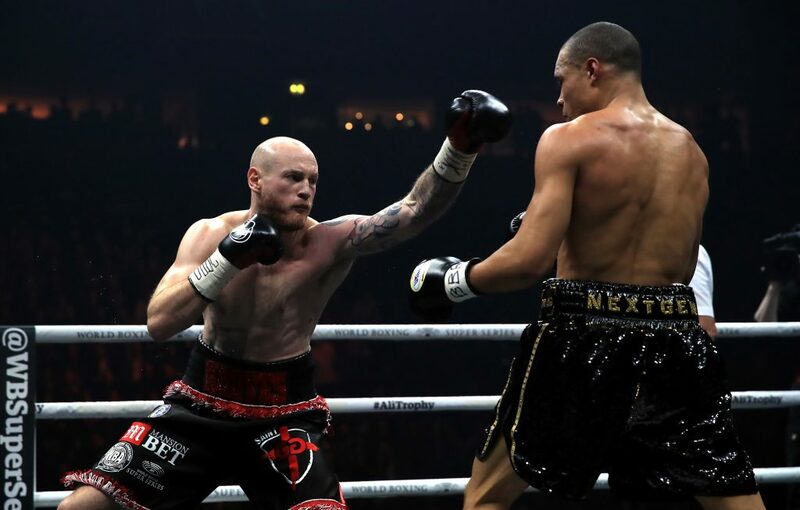 There are vast amount of options when it comes to doing this, but the most exciting and best value for money is undoubtedly backing a winner in a certain round during the fight. This is called round betting and it is great for getting a tasty return for small stakes. To pick a winner and an outcome of the fight in a specific round (or rounds) of any fight taking place, simply click on the contest you want to get involved with at William Hill. From there, it’s a matter of finding ’round betting’ in the options available for punters on laptops, mobiles or other devices. Whether it’s a shorter six-round bout between up and coming prospects or a 12-round battle involving elite championship-level veterans, punters can select any round they want and whichever they have a feeling it will come to a conclusion in. George Groves and Chris Eubank. There are two types of round betting you can place a bet on. Grouped Round Betting: Predict which fighter will win and in which group of rounds. For an example, you could predict Anthony Joshua to beat Alexander Povetkin in rounds 7-9 with odds trading at 3/1. Here, you’d receive £30 if you were to place a £10 stake on Joshua here and the fight finished in his favour in that set of rounds. Specific Round Betting: This type of betting is the same except you have predict the exact round the fight will end. That might seem tougher but you’re odds would be significantly better for this kind of pick. For an exampled, you could predict Anthony Joshua to beat Alexander Povetkin in round 5 with those odds priced up at 11/1. Here, you’d receive £110 if you were to place a £10 stake on Joshua here and the fight finished in that specific round. After an incredible 2017 for the sport, boxing has continued its rampant rise in stature and momentum into this current year. There are once again a host of exciting and mouth-watering tussles on the horizon, whether it’s at flyweight or all the way up to heavyweight. The combat sport’s biggest stars will again be out in force throughout 2018, as they seek further silverware success with belts strapped around their waist, against the best opposition there is in each division. This includes the likes of Britain’s present heavyweight superstar and current unified world champion Anthony Joshua, who has shot to stardom in recent years since lifting a gold medal at the 2012 Olympic Games on home soil of London. Joshua faces Alexander Povetkin in his next fight and you can find our unmatched round betting odds here. 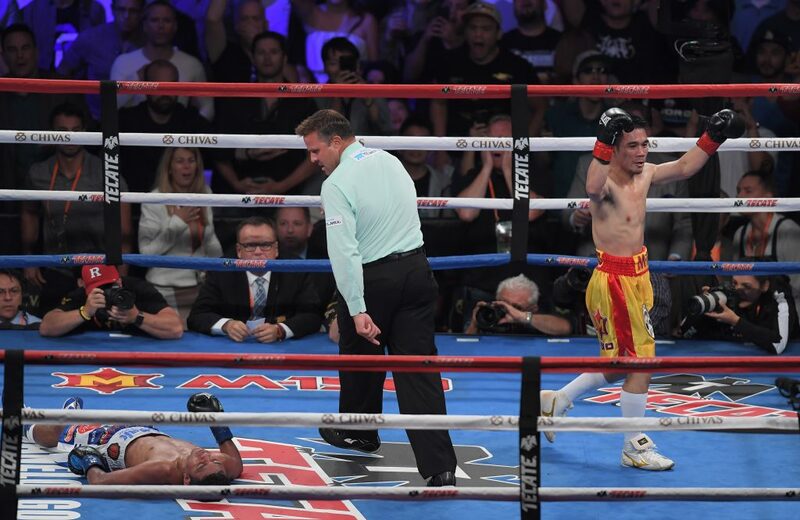 Srisaket Sor Rungvisai celebrates after knocking down Roman Gonzalez. There have been plenty of big round betting thrills and spills in recent years, which only adds to the drama unfolding in front of punters and makes the odds all the more worthwhile. For example, the stunning KO of Roman ‘Chocolatito’ Gonzalez in four rounds to Srisaket Sor Rungvisai last year proved to be a huge success for punters, as the odds-on favourite was shocked in California. British knock-out artist Joshua is rising high with every fight he has, as promoter Eddie Hearn continues to deliver big fight nights on Sky Sports involving the highly popular big man of boxing. What’s your projection for the George Groves v Callum Smith fight? So, make sure to get involved in the best of boxing with great quality bouts and superb value for bets on round betting during the course of 2018.